Click on one of the thumbnails for larger picture. Return to the page with the backarrow. The tiny islands of the Faroes are situated in the "heart" of the Gulfstream in the North Atlantic, half way between Norway and Iceland. The archipelago consists of 18 islands covering 1 399 sq km. Visiting them has since many years been one of my dreams. In summer 2002 this dream became reality. 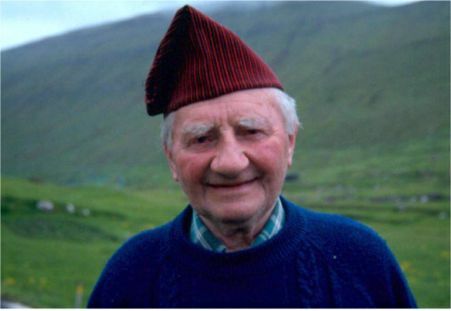 "An old Faroeses legend says that when the earth was created, the foreman in charge cleaned his nails and what he discarded fell into the North Atlantic and become the Faroe Islands". Yes, the group of islands is very small. It is only 113 kilometers from north to south and only 75 kilometers from east to west. No point of the islands are more than 5 kilometers away from the sea. The highest mountain, Slaettartindur, is only 852 meters high and the average height above sealevel for the country is 300 meters. The weather is maritime and changable. From sunshine to mist and showers. This is no place to go if you would like to lay on the beach. The average temperature ranges from +3 Celcius in winter to +11 Celcius in summer. The air is clean and fresh and there is, more or less, always a breeze sweeping in over the islands. This is the place to go if you love nature! Visit the Faroes - You will not be dissapointed. The population is not more than approximately 49 000 on all islands together. 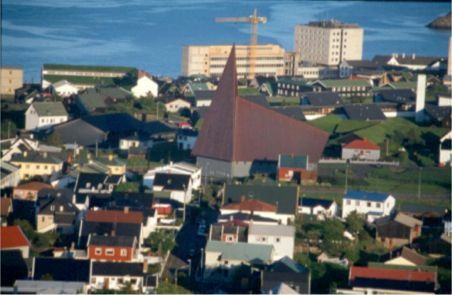 The capital Torshavn, with less than 18 000 inhabitants, is the worlds smallest. The first settlers can have been irish monks on their search of pagans to christian, or to find a calm place to live in, during the middle of the seventh century. There is more or less nothing written about them. 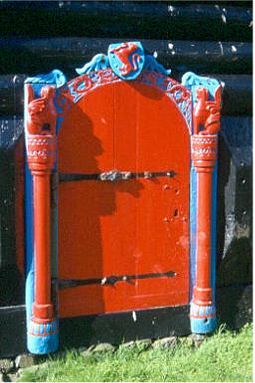 Well documented is the Norwegian colonization of the islands which started in the eighth century when Norse vikings left their homes in Norway due to an unstable political situation.The Faroes became a central part of their settlements along the coast of the North Atlantic and the Irish Sea. Here they established their own parliament with local things in different parts of the islands. 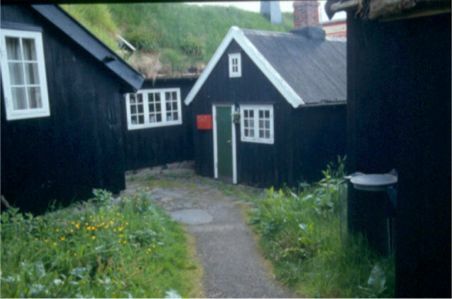 The main thing was located on Tinganes in Torshavn. Christianity was proclaimed here about year 1 000. Shortly after this the islands came under control of Norway. During the Reformation The Faroes came under control of Denmark. Since 1948 The Faroes is a self-governing region of Denmark. 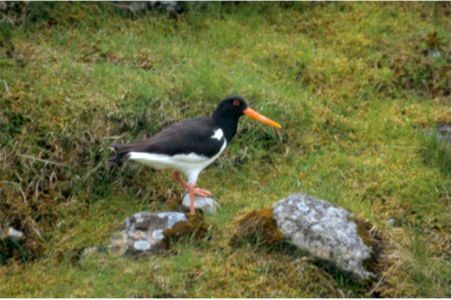 There are a couple of possibilities to reach The Faroes, by plane or by ferry. I chosed the ferry and went from Bergen in Norway to Torshavn, a trip that takes 24 hours. My ferrytour was calm an pleasant out, but very windy and partly stormy back. 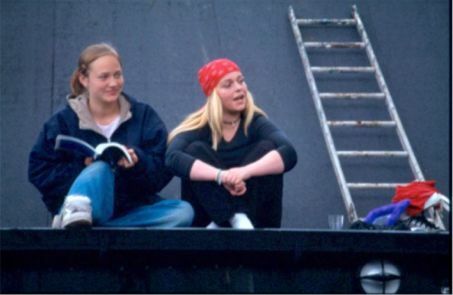 It is not very pleasant being on the ferry when the hard Atlactic winds are playing with the ship, even if the ferry Norröna, belonging to the Smyril Line, is stable and safe. As I took my own car on the ferry it gave me good possibilities to drive around. During my stay I visted Streymoy, Eysturoy, Kunoy, Bordoy and Vidoy. Regretfully, my four and a half day long visit did not allow me to go to other islands. I visited several places in the Faroes during my roundtrip. All very beautiful and peaceful places,well worth to visit. Here are some of them. 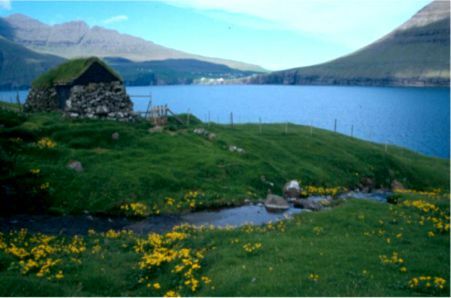 The largest islands are Streymoy and Eysturoy. 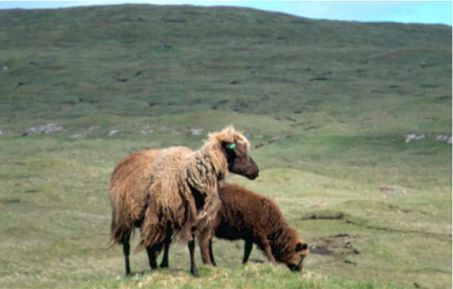 Streymoy has 25 % of the landarea and over 40 % of the population. My roundtrip started in the capital Torshavn, a picturesque little town. One of the nicest places in the town is the peninsula Tinganes. Here you can stroll around on narrow streets with many old turfroofed houses giving an impression of past times. 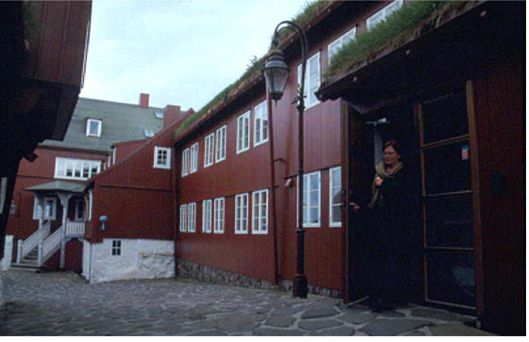 On Tinganes the oldest buildings of Torshavn can be found; Lögtinget (The Parliament), Skansapakkhusid (once an artillery depot) Munkastovan (a former monastery) and Leigubudin (the kings storehouse). The more modern parts of the town are surrounding Tinganes. Kirkjuböur, population approx. 210, is situated on the south coast of Streymoy. It was once the religious center during the medieval times and here were the firsts churches built after introduction of christianity. The most impressive was The Magnus Cathedral, constrution started in the 13th century. The cathedral was never finished. Today it is a striking ruin standing beside the St Olavs Church constructed in 1111. 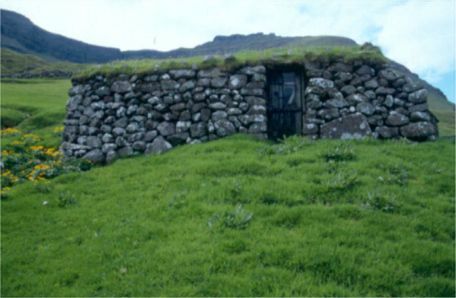 The Roykstovan is a 900 year old turf-roofed farmhouse. The timber used when it was built came the whole way from Norway. The ship carrying the timber was ment for another destination, but sank and the cargo was washed ashore by the Gulf Stream. The farmhouse museum is open for visitors. 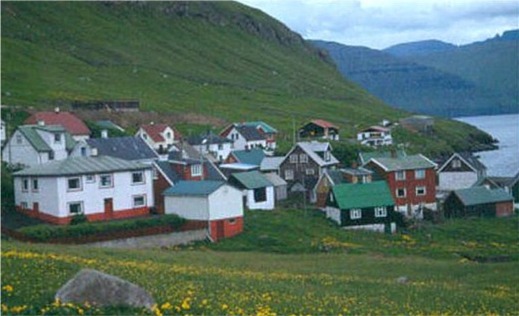 With a population of a little more than 1 200 Vestmanna is the second largest town on Streymoy. The town has no major sigths of interest. Most tourists come here to visit the magnificent Vestmanna Birdcliffs. A couple of operators are offering boattrips to the them. I chosed to go with Palli Lamhauge, which was a good choise. Palli is a gentlemen around 65 years old. He has a couple of boats to go with. I went to the birdcliffs with a traditional open faroeses ship, which is a pleasure when the sun is shining. Palli is a good sailor and he navigated smootly through the rather rough sea. During the trip he told us about life in the past. The cliffs were impressing. He took the ship close to them and in to big caves dugged out by the sea. On some cliffs you could see birds as fulmars, kittiwakes, guillemots, razorbills and a few puffins. We also sailed through a couple of narrow sounds. This was one of the best experiences during my visit on the Faroes. Thanks Palli! 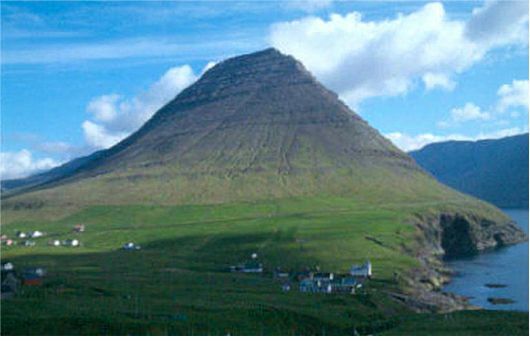 Vid Air is a very small village on the shore of Sundini and was the last commercial whaling station in the Faroes. Here the large blue whale was landed and processed. Still you can see machines, heavy chaines and other equipment used during the whalingperiod, remembering of a cruel period in human history. The commercial whaling was closed permanently in 1966. When visiting The Faroes there is one absolutely must - visit Saksun, the small hillside village. The village is divided into two parts of the river Dalsa. The population is only about 30 persons. One young man I met has been to Sweden during 10 summers visiting relatives. He spoke an exellent swedish. The main attraction in Saksun, besides the beautiful nature, is the Duvugardur Museum. The museum is located in an old turf-roofed farmhouse built in the 19th century. The trekking possibilities around Saksun are very good. 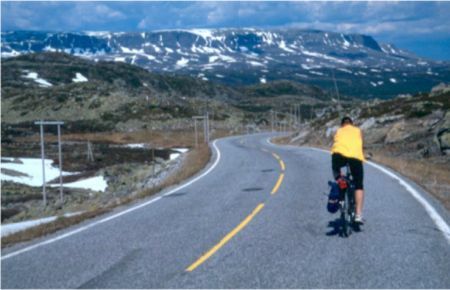 The most popular trekk goes over the mountains to Tjörnurvik. I took the possibility to make a fascinating walk on the sloops of the mountains and got some nice views over Saksun and the island Vagar. East of the small town Eidi, population 700, you have some fine views over the two sea stacks Risin og Kellingin (the giant and the witch) and the highest mountain Slaettartindur (882 meters). "The legend says that the Risin and Kellingin were created when an Icelandic giant tryed to drag the Faroes closer to Iceland. He took a heavy rope and secured it around the most solid thing he could find, which turned out to be the rock Kollur. He and his wife splashed into the sea and began to tug. Despite their struggle the rock did not move. The village of Gjogv, population 60, is named after its harbour, which is an unusual sea-filled gorge. 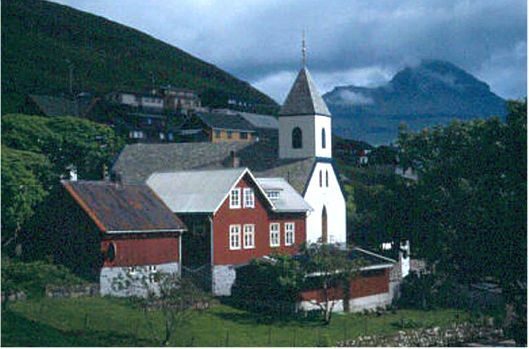 The village is nicely situated on the sloop of a mountain with nice views over the sea and the island of Kalsoy. In the center of the village is a small pond where boys often play around in their small boats made of empty petrolbarrels. The youth hostel, with a grass-roof, offers nice rooms. From here you can walk uphill to some cliffs with many birds. But be careful! Elduvik with around 100 inhabitants is another nice little village at the end of the road. It is nicely located on a sloop surrounded by green fields and high peaks and a nice view out over the se. The colourfully painted houses lays scattered all over the village. The trekking possibilities are fine here. Göta is actually didived into three different villages; Nordragöta, Sydrugöta and Götugjogv. All together they have a population of around 1 000 people. Also these villages are located in a scenic area. In Sydrugöta you will find the spinning and woollen factory Töting. Here they make yarn and nice Faroeses pullovers. You are allowed to visit the productionarea during workingdays. 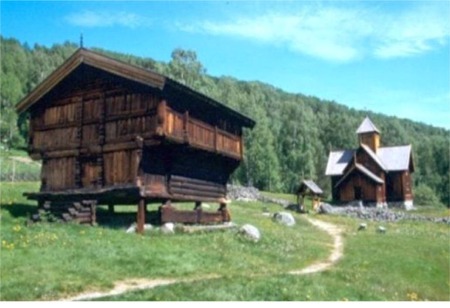 In Nordragöta you find the Blasastova which is a reconstruction of old farmhouses showing how people lived in the past. 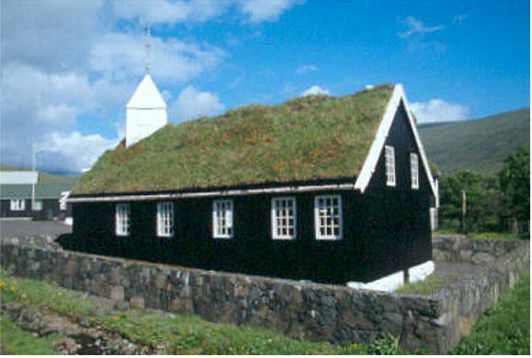 The church, located close to the Blasastova, is rebuilt in 1833 and is a good example of the beuatiful Faroeses turf-roof churches. Klaksvik is the second largest town on the Faroes and has a population of approximately 4 700. The major industries are fishing and fishprocessing. In the harbour you can follow the fishermens work and study the fishingboats. You reach Klaksvik with the ferry from Leirvik on Eustyroy. The 30 minutes long trip gives you nice views over parts of Kalsoy, Kunoy and Bordoy. When the weather is fine the views are fantastic. There are some places of interest to visit in Klaksvik as Christianskirkja built in 1963, The North Island Museum and some woollen mills. 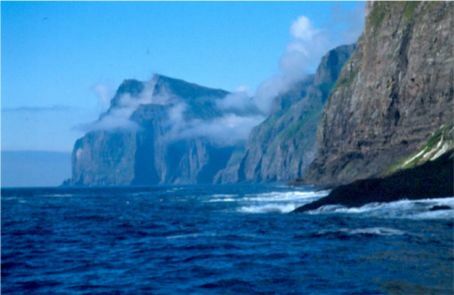 Muli is one of the most remote places on the Faroes. You reach the small, now abandoned, village via an unsurfaces road from Nordepil. As late as 1994 Muli had 154 inhabitants. The four humans left and the 150 sheeps stayed. If you like to enjoy the sound of nature, Muli is the right place to visit. You hear nothing more than the birds, the wind, the sea and of course some of the sheeps. The views over the sea towards Vidareidi on Vidoy are fantastic. Vidareidi, population 320, was one of my favourites during this trip. 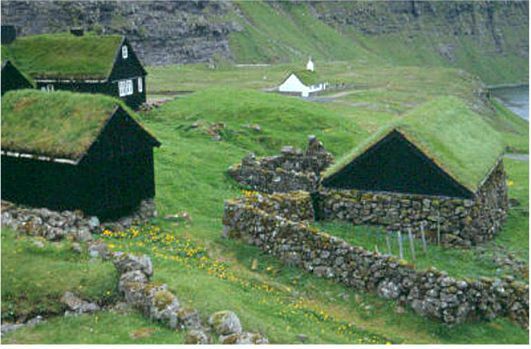 It is the Faroes northernmost village located between the Enniberg headland and the main body of Vidoy. Here I stayed in an old farmhouse in the upper part of the village with beautiful views down to the church, which is located close to the sea. The trekking possibilities are very good from Vidareidi. One of the harder trekks leads to Enniberg, one of the highest sea cliffs in the world. My days on the Faroes were not enough to experience this part of the world. There were many more places and islands left that I wanted to visit. But as always, time is limited and you have to chose. Maby I go back to The Faroes one day to also visit Mykines, Sandoy, Svingoy and Nolsoy. 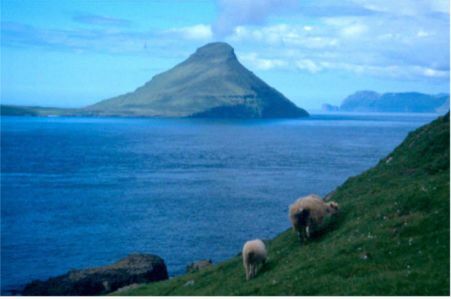 If you like unspoilt nature - Visit the Faroes. The flag has been used since 1931 but became official in 1948. 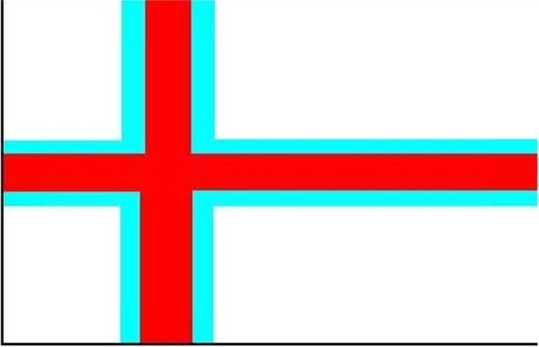 The flag can be used without special permission from Denmark all over the country. The Faroes crest is the same as for Denmark.